Yes! Not only does Coconut Oil do wonders for our hair and internally when ingested but it also is great for our skin! It works as an effective moisturizer and Makeup remover (even that hard to remove mascara!) I personally like to use the Coconut Oil just for my Eye-Makeup because it not only removes the Makeup but also nurtures the skin around the eyes which is one of the most sensitive parts of our face. I know that some people use Coconut Oil to remove the Makeup on their whole face (I use honey for my face). Coconut Oil is an excellent moisturizer for all skin types, especially for dry and older skin. The Oil is so good at smoothing out the appearance of wrinkles and sagging of skin (when used regularly) that it is often added to commercial skin care products. 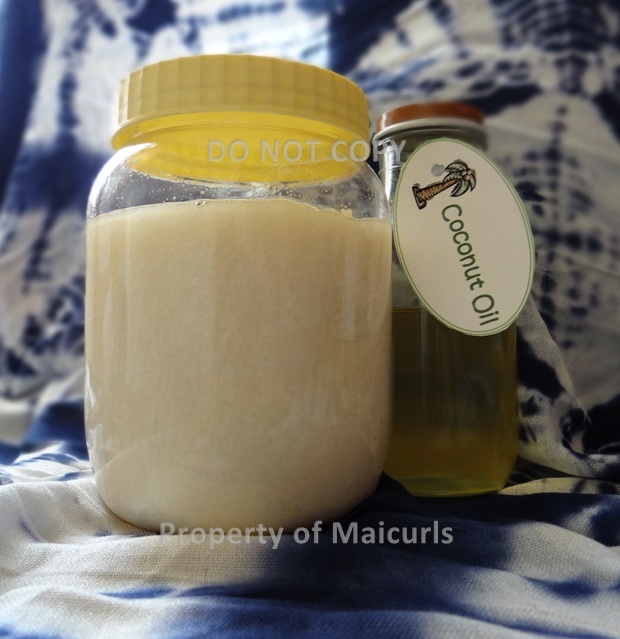 Coconut Oil is know to help some skin conditions such as psoriasis, dermatitis and eczema and due to the lauric acid found in Coconut Oil it has both anti-bacterial and anti-fungal properties. I pour a little Coconut Oil onto a facial cotton pad and glide the pad over my closed Eyes from the inside to the outside. (Do not press or rub too hard it will wipe off easily). You do not need any more than just a few drops… a little goes a long way. I continue this until I do not see any more Makeup on the cotton pad, splash my face with water and move onto my Toner. What is your favorite Eye-Makeup Remover?